What are effective ways to manage the client’s expectations and develop an effective strategy that will enhance the likelihood of a successful mediation? Managing Client Expectations. Two California published opinions provide a cautionary tale of what can happen when the mediation outcome differs from the client’s expectations. In Cassel v. Superior Court (Wasserman, Comden, Casselman & Pearson, LLP) (2011) 51 Cal. 4th 113, a federal trademark and copyright case, the parties attended a 14-hour mediation and reached a $1.25 million settlement. Later believing that he did not get enough, the plaintiff sued his lawyers for malpractice, claiming that they forced him to settle in mediation. The case was thrown out because mediation confidentiality trumped the malpractice claim. The lawyers’ statements in mediation allegedly forcing the client to settle, although made to the client in private and outside the presence of the mediator, were inadmissible. In Wimsatt v. Superior Court (Kausch) (2007) 152 Cal. App. 4th 137, plaintiff Cory Kausch was involved in an aviation personal injury claim. Kausch attended a successful mediation with his lawyer, William Wimsatt. Kausch then sued Wimsatt claiming the settlement amount was not enough because Wimsatt, reduced the pre-mediation demand from $3.5 to $1.5 million without his knowledge or consent, thereby reducing the amount achieved in settlement. He sought to discover Wimsatt’s mediation brief and emails to the mediator sent before the mediation. Essentially eviscerating the plaintiff’s case, the court of appeal concluded that mediation briefs and e-mails sent to the mediator before the mediation are protected communications under mediation confidentiality statutes and therefore not discoverable. While both cases concluded successfully for the lawyers, they demonstrate the importance of managing the client’s expectations going into mediation. Whether representing plaintiff or defendant, it is imperative that the client understand the value or exposure of the case and that the outcome of the mediation is consistent with those expectations. Use of Resources to educate the client. The process of educating the client begins well before mediation. 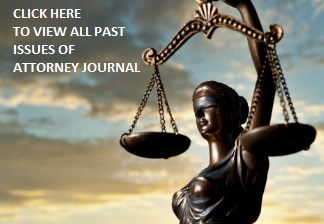 Case evaluation should be done at the outset by reviewing jury verdicts and reported settlements. Seasoned counsel will have insight based upon experience, while newer attorneys should consult with experienced colleagues. Provide the client with this evaluation and the basis for it. With clients, particularly plaintiffs who have unrealistic expectations, an excellent resource to consider is a study of civil lawsuits. In “Let’s Not Make a Deal: An Empirical Study Of Decision Making in Unsuccessful Settlement Negotiations,” Journal of Empirical Legal Studies, Volume 5, Issue 3, 551-591, September 2008, the authors reviewed 2,054 civil cases over a three-year period and found that plaintiffs made the wrong decision in going to trial 61% of the time. The amount of their recovery was less than what had been offered. Conversely, defendants made the wrong decision 24% of the time. They ended up paying more after trial than if they had accepted the plaintiff’s last demand. In only 15% of the cases did the parties make the right decision in going to trial – plaintiff recovered more than defendant offered, and defendant was found liable for less than what plaintiff demanded. Developing an effective mediation strategy — who should attend the mediation? In your pre-mediation meeting with the client, determine the identity of all participants who should attend the mediation. That includes all of the client’s “constituents” needed to have settlement authority. With elderly clients, “constituents” may include adult children or other influential individuals. Spouses and significant others may also be necessary. In trust cases, they may include all beneficiaries and the trustee. If the case is contingent on establishing certain facts or damages, consider having fact sources available as well. In business or commercial disputes, this may include accountants. In construction-related matters, expert witnesses could be helpful. The mediation process. Explain the mediation process and dynamics to the client so that he or she will know what to expect. This may include a joint session and private caucuses with the mediator and discussions that are cloaked in the mediation privilege. While all mediations and mediators are different, in general terms, mediation will include at least three phases. The first is an effective exchange of information. This begins with the mediation briefs, especially if they are exchanged, and continues with a joint session or attorney meeting with the mediator. The second phase, usually done in the break-out meetings between the mediator and individual parties, is the reality testing portion of the mediation. The mediator may ask questions and share neutral impressions to help the parties assess the risk of their own position by better understanding the opposing party’s case. The third and final phase is the negotiation and, if done successfully, will lead to a settlement that is normally reduced to a stipulation for settlement or settlement agreement supplied by either the mediator or counsel. Strategy for negotiation. Discuss with the client the negotiation process and positional bargaining, a process that will involve a series of demands and offers. For the plaintiff, be prepared to make a reasonable demand. Conversely, the defendant should be prepared to make a reasonable offer. Most settlements are near the midpoint of the first reasonable demand and the first reasonable offer. Make sure the client is on-board with your thinking, and understands that the first moves are not as important as those toward the end of the negotiation process. Be prepared to draft a settlement agreement. Explain to the client the importance of a written settlement agreement that must be signed by all parties in order to be enforceable. Bring a settlement agreement to the mediation that can be finalized and signed if settlement is reached. By following these suggestions, you and your client can be prepared for and enhance the likelihood of a successful mediation. helpful points re managing client expectations, the % of plaintiffs and defendants who do better at trial than the last mediation offer, and resources for case valuation. thanks!